Christmas in Unisport 13. December - Knuckle balls galore!! Knuckle balls are always a good laugh, when they completely defy logic and go flying off and leave the goalkeeper helpless. I know I’ve watched that recent Kevin de Bruyne freekick more than a couple of times lately in any case. Now it’s time for JayMike and Luca to prove they have what it takes too. I know what you’re all thinking for the knuckleball challenge we have here. “Where is Joltter?” Well unfortunately Joltter has hurt his knee and is sidelined through injury, (We suspect an undercover job from one of Unisport’s competitors) so unfortunately can’t compete in this challenge. Luca and Jay have luckily got a few killer shots of their own, which you can enjoy in today’s episode of Christmas in Unisport. I mean who doesn’t love knuckle balls? 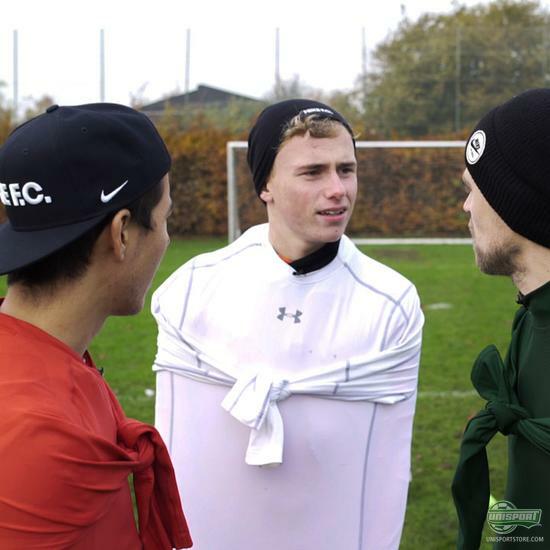 There are a couple of goodies in the video, so give it a watch and stay tuned for more videos from Christmas in Unisport all Xmas.